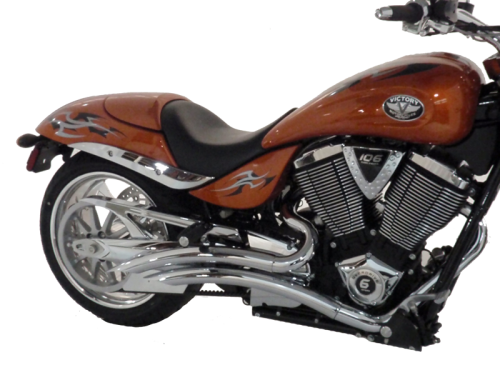 Solid muscular form and enhanced performance your bike has been craving. 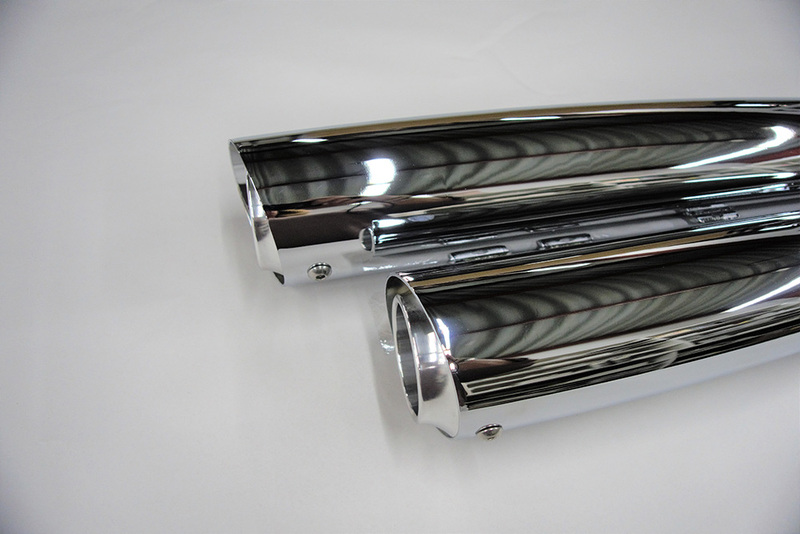 The RPW USA Slip-On-Slash (SOS) muffler will set change in motion by enhancing your bikes looks and performance. 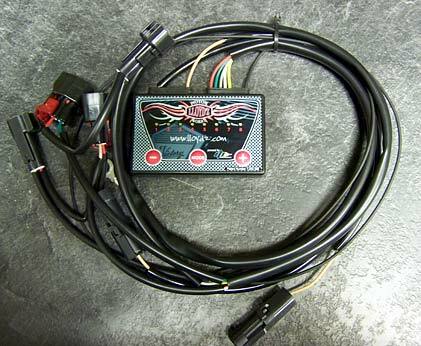 The SOS is created with ingenuity and enthusiasm. 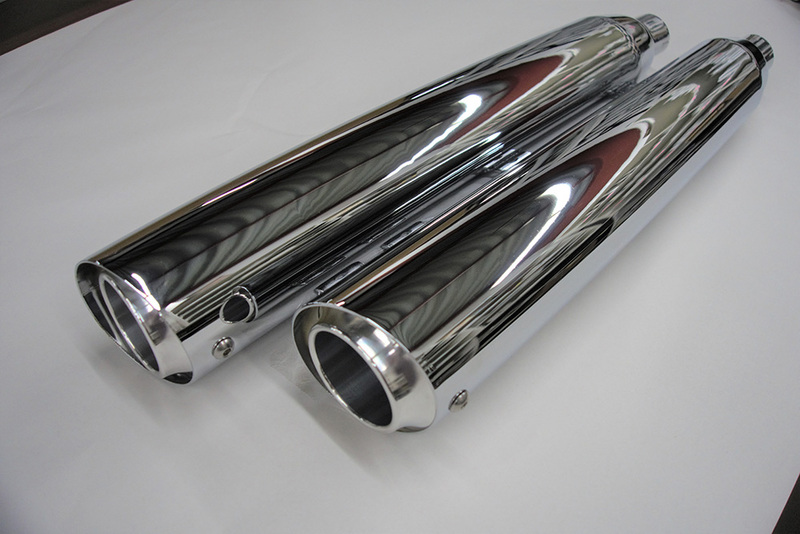 The SOS mufflers commanding appearance is in complete harmony with the lines of your bike. 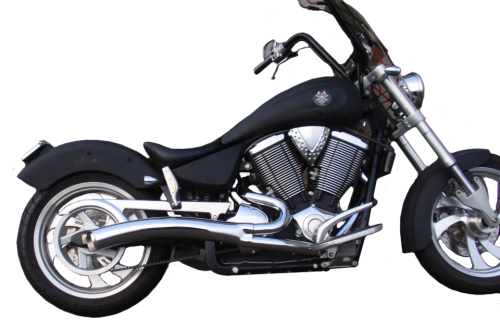 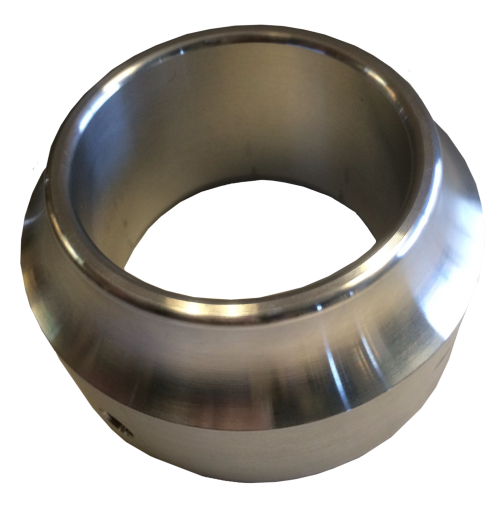 Designed to divert the exhaust away from your bike, it is built with 3 ½” mild steel which effortlessly transitions into a slash cut and is finished off with a brilliant T6 end cap. This muffler set is complete with baffles and all the mounting hardware. 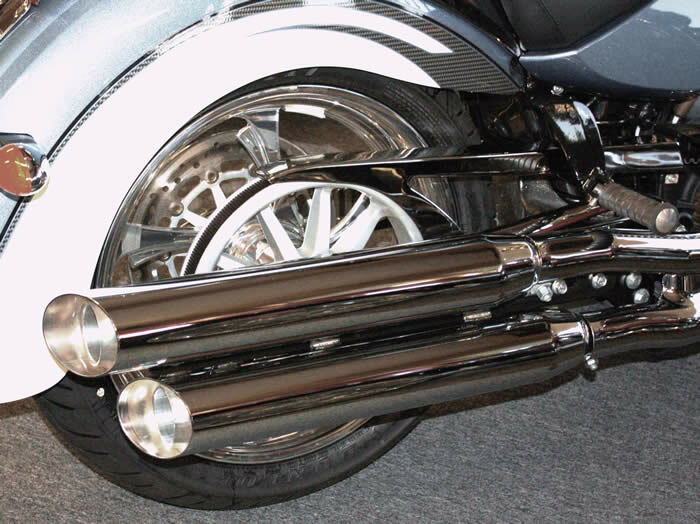 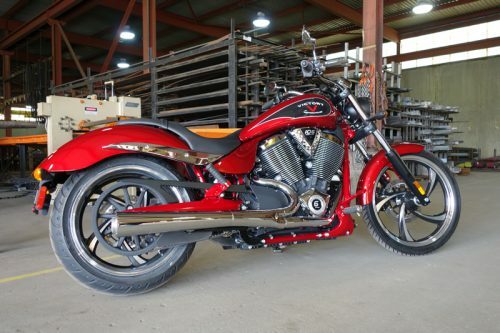 Rise to the occasion and enhance your bikes performance with the RPW USA SOS Muffler.